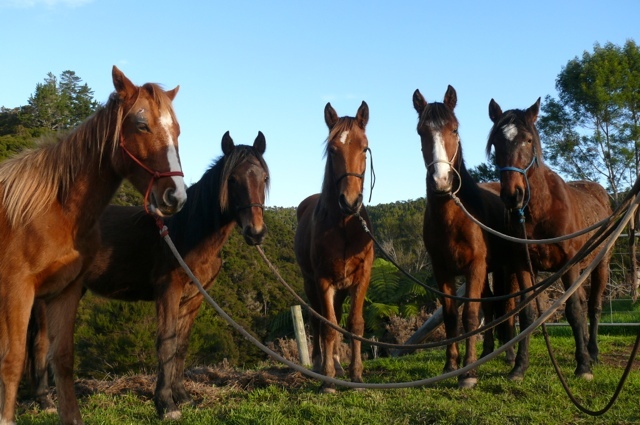 It's been just over a year since the the last muster and the arrival of the five stallions and a fraction over three years since Matai and Fern first arrived. Sadly I had a crashed computer and no Internet to celebrate this milestone, so instead a little bit late I'm putting together a list about why people should start thinking about getting organised and adopting from next muster. 1. 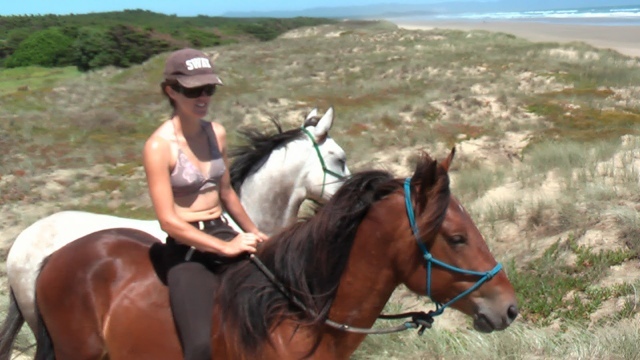 The Kaimanawa wild horses make great domestic horses. They adapt well to domestic life and love stables, hay, being fed, covered and protected from the elements, as well as all the luxuries involved with becoming regular horses. If given the choice all of my wild horses choose to hang out in the barn or around the house. There is no pining for the wild open spaces from this lot. 2. They are not just little brown ponies. 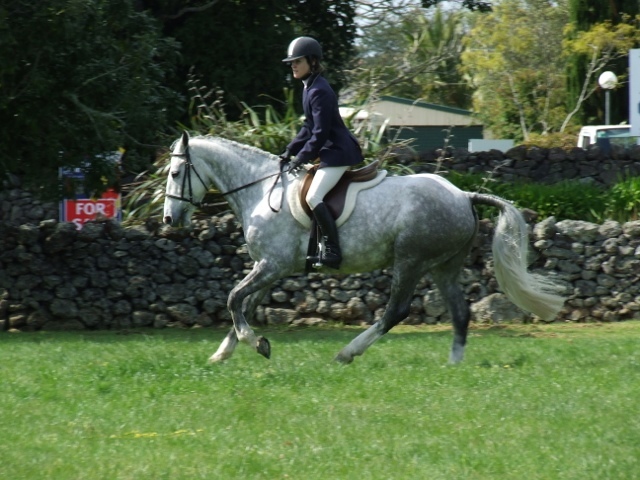 The Kaimanawa horses now more than ever are proving to be fantastic competition mounts and are excelling in a huge variety of disciplines. Pony of the Year was won by a Kaimanawa. A gelding from the 2012 muster was competing at Horse of the Year Show this year in Show hunter. 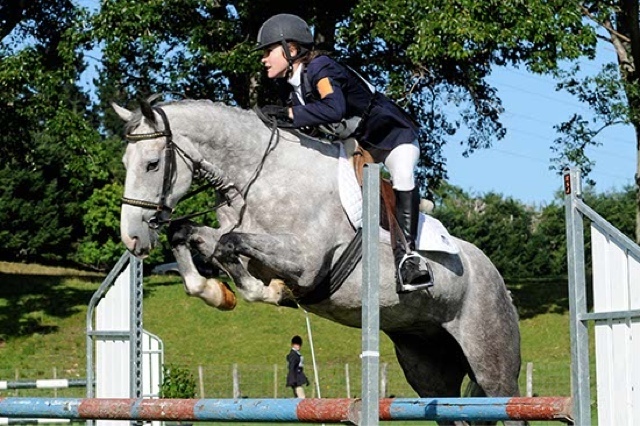 From the ones I personally have dealt with they have gone n to be pony club mounts, dressage, showjumping, and a range of other things, including eventing which I compete in on my own Fern, who is a far more talented jumper than any of my purpose bred horses. 3. They are not that little. While in the past, the horses mustered have been very small, nowadays with herd numbers reduced and less competition for food and water, the horses brought out are bigger and better developed thn ever before. Fern is 15hh and her foal, now two and a half, born just a few months after she was mustered, already is a big solid 15.2hh. Sonny, Ferns foal as a yearling....not so small. 4. They come in a range of colours and types. Greys, bays, blacks, chestnuts with flackens manes, browns, liver chestnut the list goes on. They come in a few different types to from solid pony types to taller more old military stock looking animals. 5. There are now a lot more people like me who are willing and able to do the initial handling. You don't have to be the horse whisper to think about adopting a wild horse! 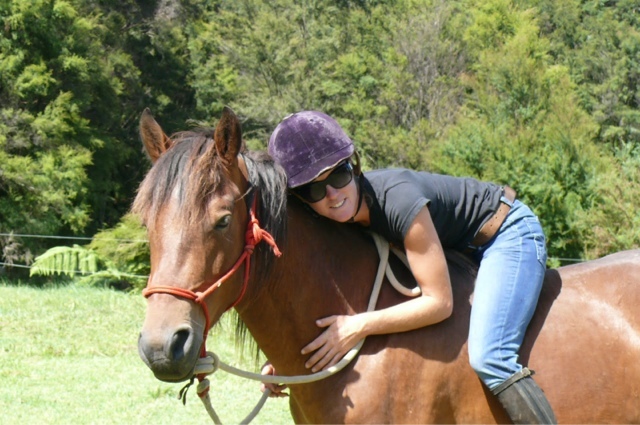 Horses can go straight from muster to us, and we can produce them in a few weeks to be normal domestic horses. Halter trained, trucking, floating, hoof care and handling, covered and for the older horses breaking in, all before the reach your door. 6. They are sensible. Once used to people and having learnt the basics of being a domestic horse, Kaimanas are very sensible, stoic and calm creatures. In my experience ether are far less flighty and will calmly figure things out unlike some highly strung domestic horses. Ex wild horses are far from wild in their behaviour. They even accept going to horse shows and other new experiences far easier than most domestic horses. Used to conserving energy and surviving on ther own, they don't waste energy being stupid, and are also extremely sure footed in all sorts of conditions. 7. They are easy keepers. Used to surviving in the wild on very little tucker, they don't need much food, or any fancy feed regimes to keep the looking fat and healthy. They will eat pretty much anything, although it does sometimes take a few weeks to get them over there suspicion of hard feed, carrots and apples. But once they know what it is there is no turning back. 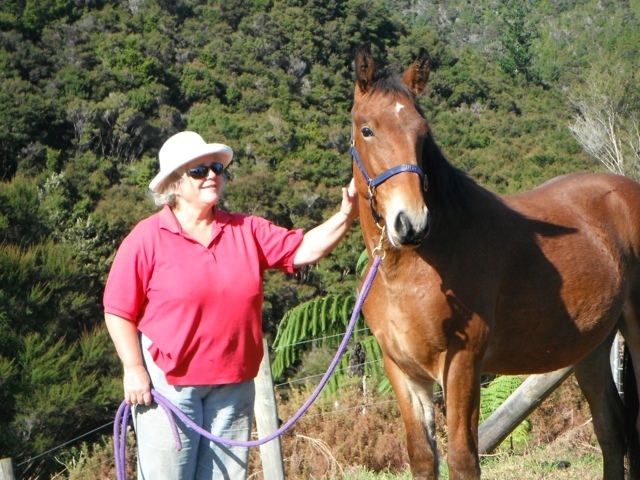 Kaimanawa horses are cheap to run, compared to your average Thoroughbreds, warmbloods and competition horses. They have good constitutions, stong bones and good hard feet once they have had a few initial trims. 8.There is no denying it is immensly satisfying to own a once wild horse. You are saving a life, and getting an amazing equine that can be used for anything your heart desires. It a huge sense of achievement reaching all the little milestones along the way, even just leading, putting a cover on for the first time, or the big one of finally riding your very own wild horse. Kaimanawas also do tend to bond very closely to one person, which is reward in itself. 9. It's a relatively cheap way to get a fantastic horse. Adoption fees are very low, there is the transport fee and if your sending it to some one like me for the initial handling that cost as well, but your still looking at costs ranging from just a few hundred to only a few thousand dollars to have a well trained and lovely horse. 10. THEY NEED HOMES!!! 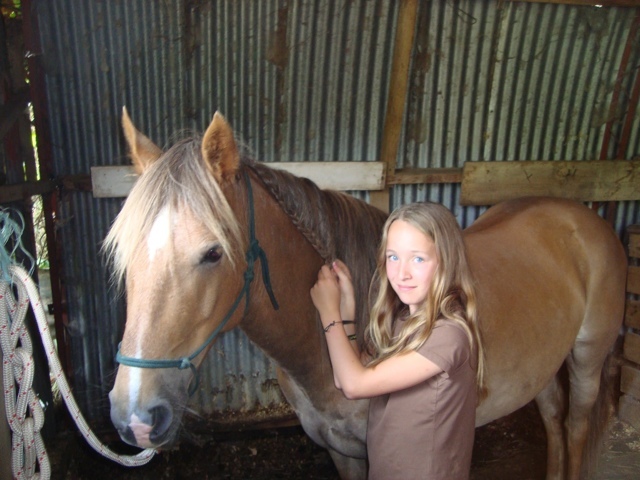 Foals, weanlings, and young horses are a great way to start being slightly easier initially and adapting almost immediately to domestic life, if your thinking about your first wild horse. Mares too are fantastic even though they do usually come pregnant, this is just a bonus as it means you get a cute little baby in a few months. Stallions are great, and I have never had problems, but I don't recommend them for first time owners, unless you are getting someone else to start them. To many horses still go to slaughter every muster. So lets make next muster the best ever, you have a year to get ready, so get organised and think about adopting a wild horse today!